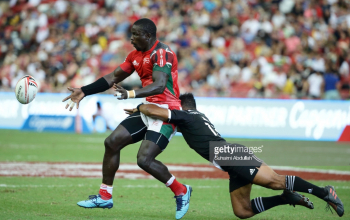 Kenya Sevens has climbed one position in the World Sevens Series standings after Singapore 7s. Kenya is now 6th, up from 7 after collecting 10 points at Singapore 7s where they reached 5th place semis. Kenya Sevens has 93 points same with fifth placed USA and only sit back due to points difference. 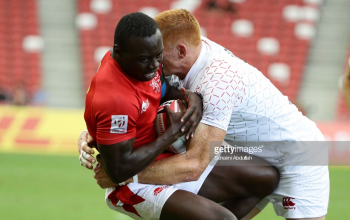 Kenya's rise after Singapore 7s is as a result of Argentina's poor performance that saw them pick only two points to drop to 7th with 92 points. 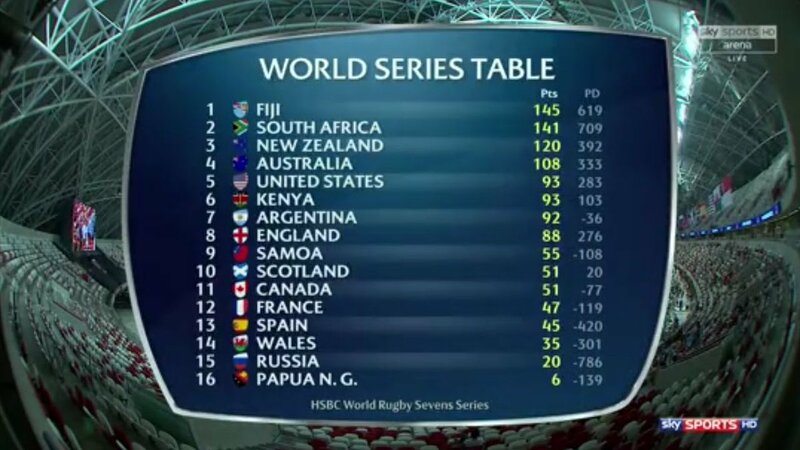 Title race has been opened again after Fiji's win in Singapore which seems them rise to the helm with 145 points, four points above South Africa who finished fourth in Singapore.